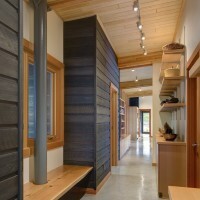 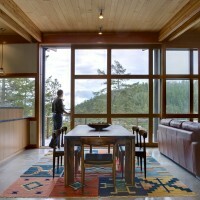 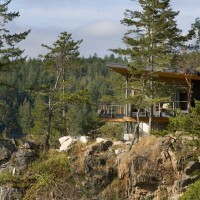 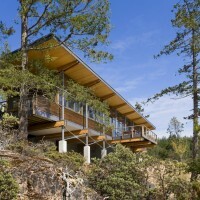 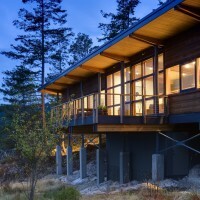 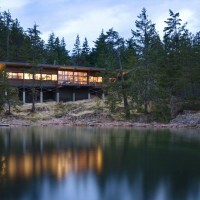 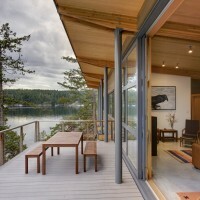 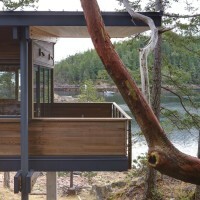 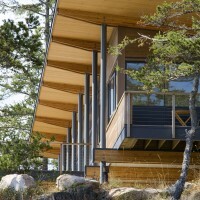 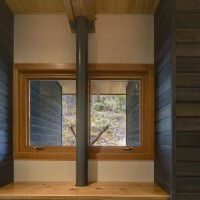 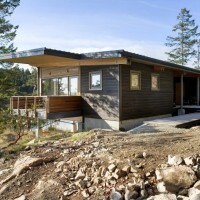 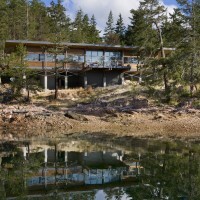 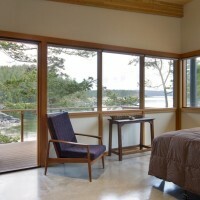 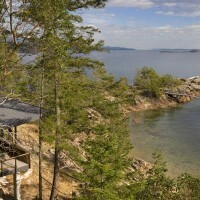 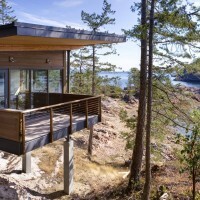 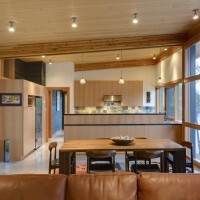 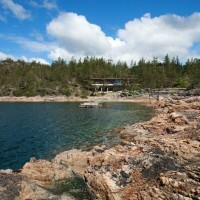 Balance Associates have designed a residence on Cortes Island in British Columbia, Canada. 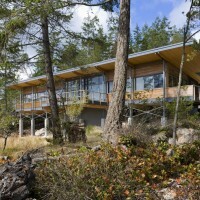 Located on Cortes Island, British Columbia, the Cortes Residence is sited on a granite cliff face that serves as a wind break for Cortes Bay and the Seattle and Vancouver yacht clubs. 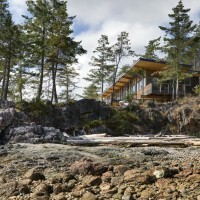 To the south, the house is exposed to the Straight of Georgia which delivers 100mph plus winds and salt spray during winter storms. 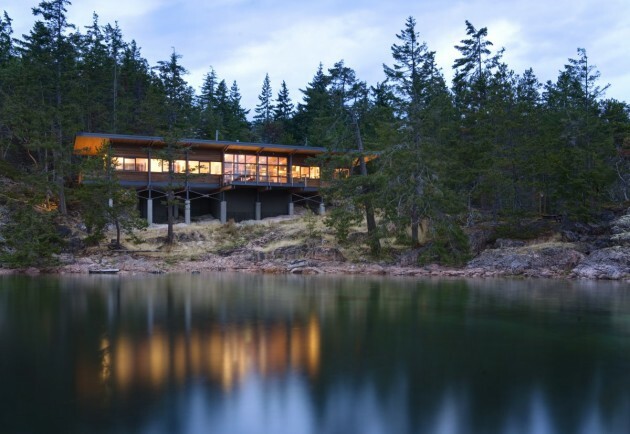 To withstand the winds, the house structure is embedded into the bedrock with cross braced steel columns and exposed floor beams allowing the house to cantilever gracefully off the hillside. 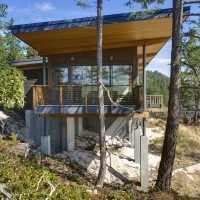 The entry side of the house sits level with the bedrock and is made up of visually solid concrete forms that create the entry space and anchor the house to the site. 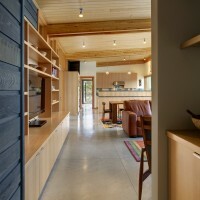 From the entry, one accesses the central great room which includes the living, dining and kitchen, all with expansive views to the straight beyond. 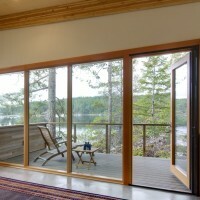 The main gathering space opens up to a south facing exterior deck by way of a grand 11ft tall by 24ft wide custom sliding door. 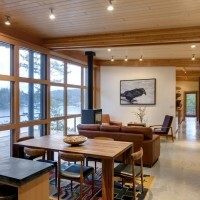 This great room is flanked by a guest suite and study to the west and a master suite that captures the morning sunlight from the east. 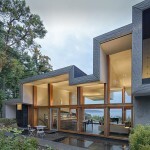 Visit the Balance Associates website – here.